Delivery Truck Driver Hospitalized After Car Strikes Him in Woburn, Mass. A delivery truck driver suffered serious injuries after he was struck by a pickup truck in Woburn, Massachusetts. 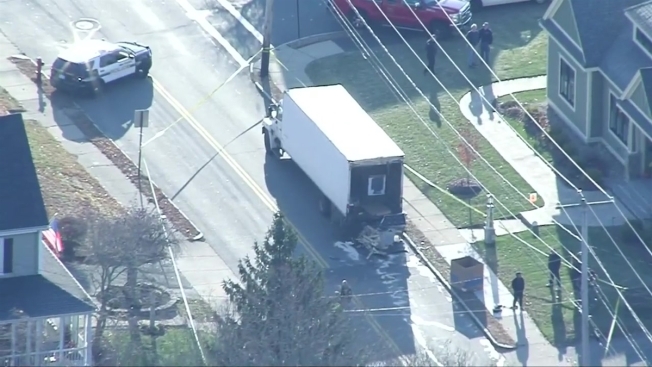 A delivery truck driver was injured Monday morning when he was struck by a pickup truck in Woburn, Massachusetts. Shortly after 7:45 a.m., police responded to the area of Van Norden Road and School Street for a report of a crash. There, they found the victim with serious injuries and rushed him to a nearby hospital. Authorities determined the man was struck by the pickup truck after it rear-ended the victim's delivery truck. The victim was making a delivery when he was hit, according to the Woburn Police Department. The pickup truck driver remained at the scene and is cooperative, officials said. Woburn police are continuing their investigation on the crash with assistance from the Middlesex District Attorney's Office and Massachusetts State Police Collision Analysis and Reconstruction Section.